Chase Silvia lines up a shot as Ricardo Andrade looks on. 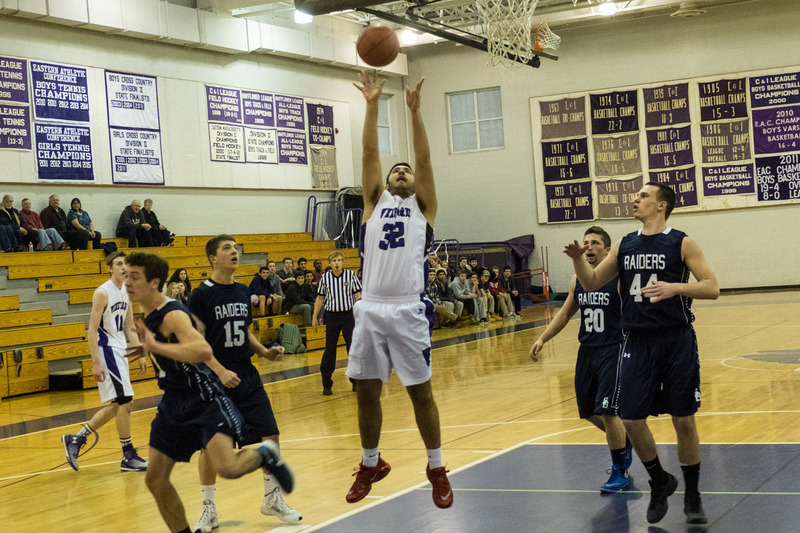 The Vineyard boys basketball team remains one win away from qualifying for the state championship tournament after a hard-fought loss in double overtime to Somerset Berkley on Wednesday. The Vineyarders hustled across their home court, shoes squeaking, as they kept a steady lead throughout most of play. But Somerset tied the game right before the final buzzer. The first four minute overtime ended tied, 80-80, after Somerset scored a three-pointer as the final seconds dwindled down the clock. In the second overtime, both teams fouled each other regularly, stopping the clock often for free throws. The Vineyarders ended up four points behind with 44 seconds left on the clock. A three-pointer brought them close, but time ran out and the team lost in the second overtime by a score of 89-88. Coach Mike Joyce said he had hoped for more from the team during the game. Mr. Joyce bemoaned the high number of free throws the team missed, estimating it to be around 20, as well as how many rebounds they gave up. Despite the disappointing loss, Mr. Joyce said the team has exceeded his expectations so far this year. 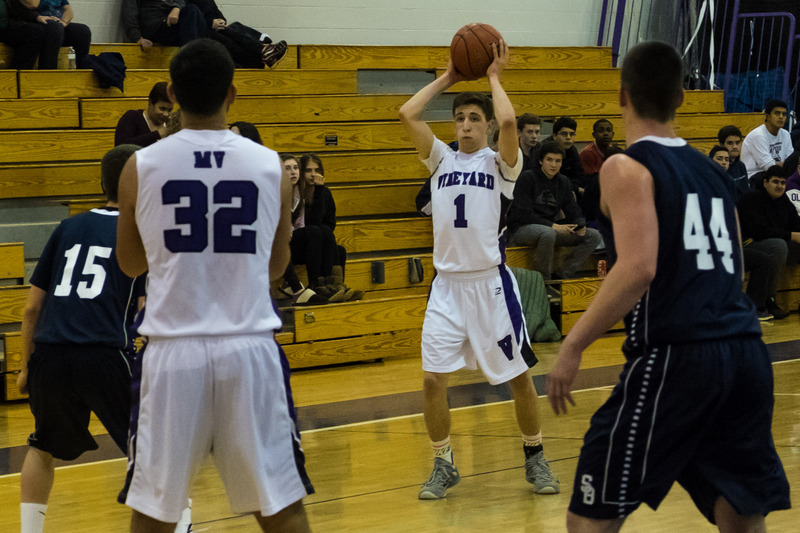 Wednesday’s game was the Vineyard’s last league game, but the team has three more chances to qualify for the state tournament. 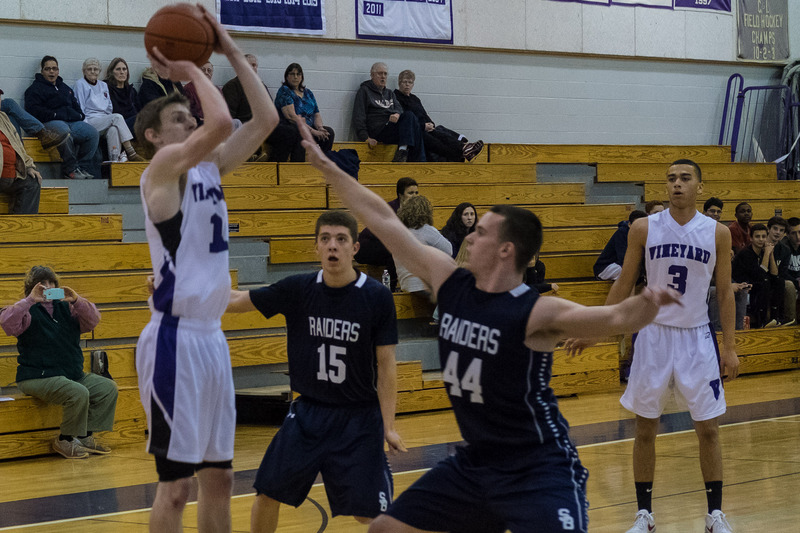 On Wednesday, Feb. 17 they face Dennis-Yarmouth Regional High School at 4:30 p.m. at home. Personal victories are what Bob Tankard cares about.